1960년 경남 함양에서 태어났다. 1987년 단편 「십오방 이야기」를 발표하며 작품활동을 시작했다. 소설집 『친구는 멀리 갔어도』 『아메리카 드림』 『실상사』 『모란시장 여자』 『찔레꽃』, 장편소설 『그대여 다시 만날 때까지』 『열애』 『누망』 『낙타』 등이 있다. 단재상, 요산문학상, 아름다운작가상을 수상했다. 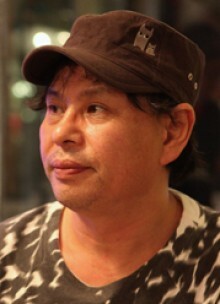 Born in 1960, Jeong Do-sang started professional writing after the short story, Shibobang Story, was included in the collection of Gwangju Struggle stories, The Awakening Land, in 1987. He has also wrote My friend is far away, American dream, Until we meet again…, my dear, and Blue room.